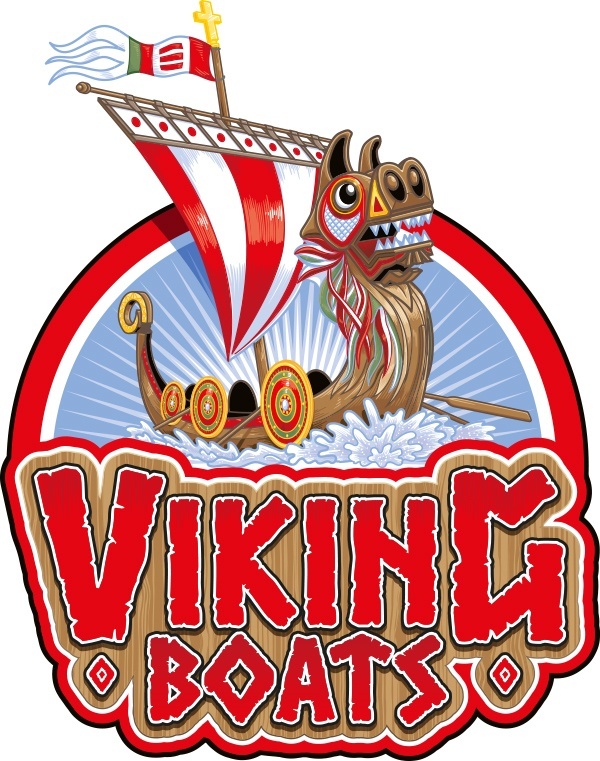 Paultons Park asked me to redesign their signage for their Viking Boats ride. They've been steadily recreating all their attractions' signs to appear layered or sculpted, giving them a much more interesting 3D feel. To this end, any artwork I create has to bear this in mind so the sign manufacture can select elements to extrude and enhance. The original sign used a generic viking boat image but I was keen to represent the design of the boats on the actual ride. It's all created as vector artwork using Adobe Illustrator, which has the benefit of allowing it to be scaled to any size without any loss of quality of fuzziness, such as you'd get with a pixel-based illustration. The sign should be in place for when the park reopens in February 2017.